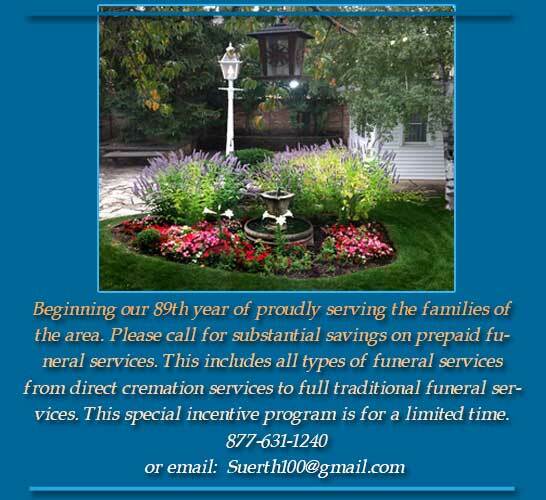 Three, one hundred per cent satisfaction rating awards for quality services… Suerth, “The Funeral Home in a Garden Setting” with its strong commitment to unsurpassed quality and personalized service, has earned these awards with their meticulous attention to every detail that ensures families and friends that they are not alone in their time of grief. Providing a myriad of options and choices, both financial and quality of services, allows families to make the proper decisions, ones that best fit their needs. 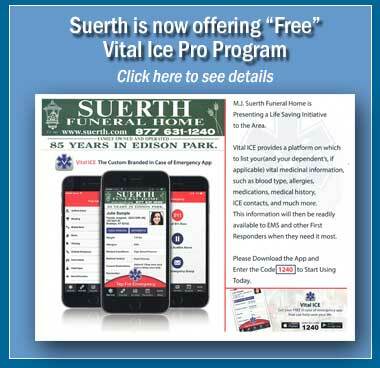 Suerth’s reputation has stood the test of time, serving the greater Chicago land area including Edison Park, Park Ridge, Niles, Lincolnwood, Morton Grove, DesPlaines, and Northwest suburbs.